Catherine McAuley College offers senior students opportunities to travel to developing countries on faith based and cultural immersions, to experience the lives of those less fortunate than themselves. These experiences open our students’ eyes to the world, and the positive impact their actions can have on others. In Year 11, students are invited to apply for a two-week immersion to Samoa, where they are billeted with families and spend time in schools. Students are given the chance to strengthen their own faith, as well as form lifelong bonds with both their own peers, and their new Samoan families. Before departing, students raise money to donate to the schools they visit, which go towards purchasing things such as library equipment, tables and chairs, and technology. 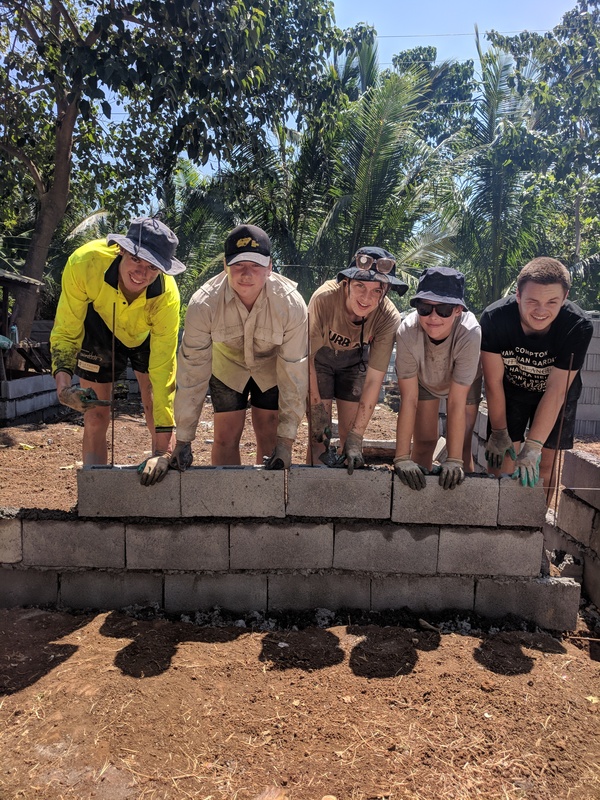 An immersion to the Philippines in partnership with Catholic Mission is also offered to Year 11s, where students work in a village and build a house. Following these experiences, students return to educate our own community about the simplicity of life in the people they encounter, yet, equally, the commitment to family, faith, education and making the most out of every situation.